You might miss it if you blink, or get off the train. October 27th, 2016: the birthday of a few friends on Facebook, 10 days until the U.S. Election, and the very significant to my life 112th anniversary of my frenemy, the Metropolitan Transit Authority (M.T.A). I’m not quite sure how my obsession with all things subway related began. I think it’s combination of growing up without any kind of decent mass transit (the only subway I knew was a sandwich), a love of history, and a curiosity about how a city so large moves about so quickly in quarters so small. 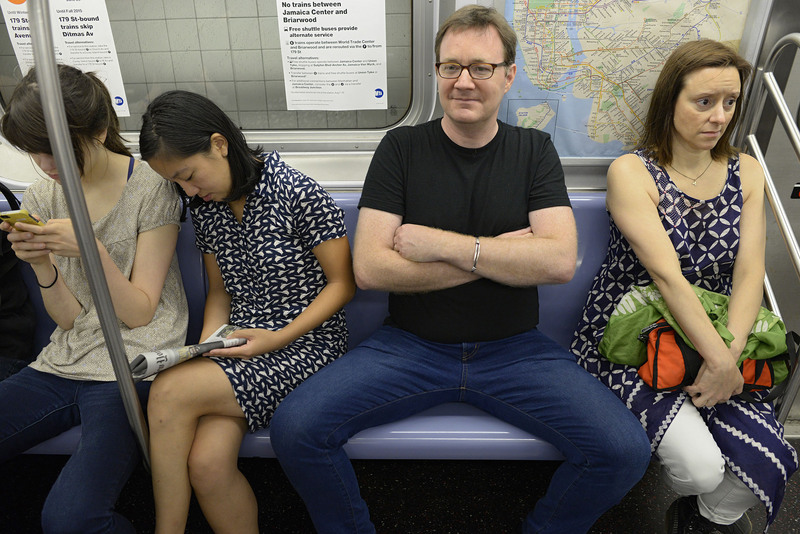 Sure, we all have those days we hate the subway. When I have those days, I sometimes just have to remind myself that HUMANS DUG OUT THESE TUNNELS WITH THEIR BARE HANDS. Related note – my commute to/from work is between Brooklyn and Manhattan. Can I repeat: humans built tunnels through water! Among the remarkable things involving MTA is my favorite secret spot in NYC. The myth, the legend, the 5 second wonder that is the original City Hall Subway Stop. This original subway platform was decommissioned once the trains became too large to fit with the curve of the platform. It’s a true tragedy, because this station is a work of art! I’m hopefully not hyping things up, because it’s truly something you see for approximately 10 seconds or less- but it’s a time warp you don’t want to miss. The vaulted mosaic ceilings, colorful ornate mosaics, and original still lit windows draw you instantly back into the era where this was the BIGGEST thing to happen. EVER. STEP ONE. 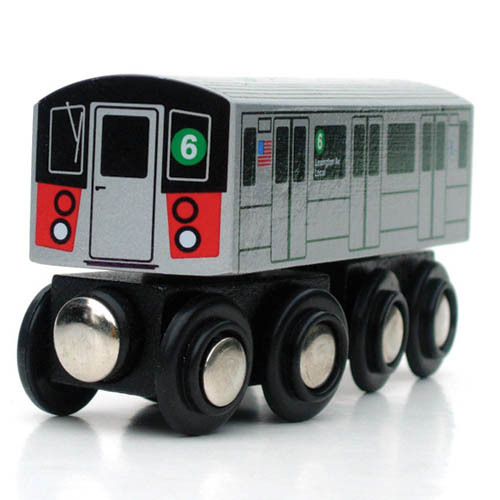 Ride the 6 train headed downtown from at least Spring or further north. (I think it gets a little fishy trying to get on the train headed downtown at Brooklyn Bridge-City Hall, as it’s the last stop). STEP TWO. When the train reaches the last stop, Brooklyn Bridge – City Hall, do not get off! Just don’t! They may tell you to get off, and you might feel like you have to get off since it is the last stop, but ignore the conductor! When the train car empties and the doors close it feels a little bit rebellious, and a lot a bit exciting! At this point you’ll want to find a good window on the right hand side of the train (facing the direction the train is traveling). Stay on the train, but don’t be this guy. Ever. STEP THREE. Keep your eyes peeled. Don’t get distracted. If you’re not looking out the window you truly might miss it. *NB: It’s best to do this during the day for better visibility, as more natural light fills the station. All of this happens as 6 train makes a very short loop through the original city hall station, turning around to head uptown. Leaving behind the platform of yesteryear. 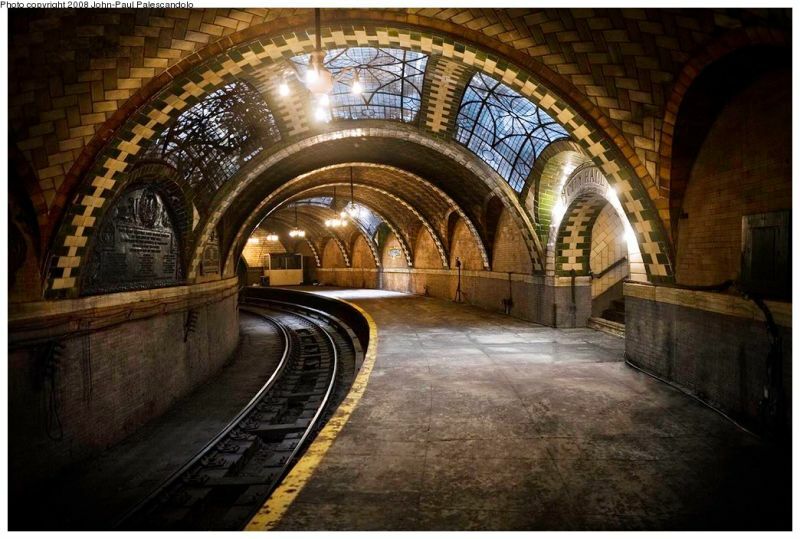 The abandoned City Hall subway stop is a cool, quick, cheap thing to do in the city that leaves you near so many great neighborhoods to continue any date or site seeing. This is Caroline Spitzer’s first Waddle story. Find her at @costume_caroline.